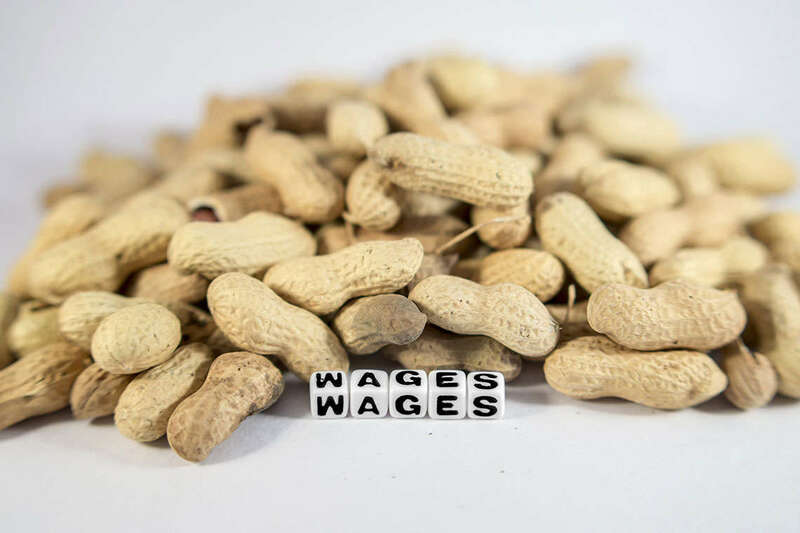 Although occurrences of wage theft can be found on every rung of the corporate ladder, these labor violations are most rampant where low-wage labor exists, like the restaurant and hospitality industries. This poses a special concern to workers in Kissimmee, as our city’s top employers include the Walt Disney Company, Gaylord Palms Resort, and other hospitality giants. Fortunately, unscrupulous employers who cheat their employees of their rightful earnings are being caught and held responsible for their actions, thanks to the Department of Labor and other regulatory agencies. And yet, despite companies being caught time and time again for violating the Fair Labor Standards Act, many employers will still try and cut corners at the cost of their workers. Today, we look at the biggest alleged wage theft busts that happened in Kissimmee this year. The United States Department of Labor investigated a Kissimmee-based staffing agency after reports of wage theft. The DOL found evidence that the agency, APDC Services, violated the overtime and recordkeeping provisions of the FLSA. The company failed to pay its employees time and a half for overtime hours and did not maintain time and payroll records, according to the DOL’s findings. The agency, which provided workers for major resorts including Wyndham Lake Buena Vista and Westgate Lakes Resort & Spa, agreed to pay $133,000 in back wages to more than 800 hotel workers. The DOL also assessed $57,145 in penalties from APDC Services for their repeated violations. For the Wage and Hour Division in Jacksonville, wage busts like these send a clear message to employers that skirting the law is unacceptable. “Staffing agencies, like all employers, must pay employees working on their behalf the hard-earned wages to which they are entitled to by law,” Jacksonville WHD director Daniel White said in a statement. A former employee of Steak N Shake in Kissimmee filed a lawsuit last month alleging that the company failed to pay her minimum wage or overtime compensation. Katherine Arteaga reportedly worked for Steak N Shake between 2010 and 2016. The former employee alleges that she regularly worked over 40 hours per week for less than minimum wage and without time and a half overtime compensation, both of which violate the FLSA. Arteaga’s lawsuit seeks unpaid wages, including all monies contributed to an illegal tip pool, among other damages, according to Florida Record. Wage theft allegations aren’t just limited to hospitality. On Aug. 11, a nursing assistant filed a complaint against a Kissimmee acute patient care facility for alleged unpaid overtime wages. The plaintiff, Marisol Ramos, claims that Acute Patient Care Inc. failed to pay her overtime wages after she worked more than 40 hours in a week. Acute Patient Care Inc. reportedly only paid Ramos at her normal hourly rate, gave her cash for overtime hours, and filed false tax paperwork, according to the suit. Another common form of wage theft involves employers incorrectly classifying their workers as independent contractors in order to avoid paying overtime compensation, unemployment insurance, and other benefits and protections. In July, a Kissimmee woman filed a complaint against My Innovation Products LLC for alleged misclassification. My Innovation Products LLC allegedly classified Yaris Burgos as an independent contractor after hiring her as a sales representative in 2015. Burgos claims that she worked more than 40 hours without being paid overtime wages because of the alleged misclassification. The company also reportedly failed to deduct payroll taxes and did not keep proper time records, according to the suit. Wage theft busts can only occur after an employee bravely reports the labor violation. Under the FLSA, employees can report their employer for suspected violations without fear of retaliation, so you don’t need to be afraid of filing a formal complaint. If you have filed a formal wage complaint and your employer is still not paying the wages you deserve, or you have experienced retaliation as a result of your complaint, we may be able to help. Read more to learn how our labor and employment attorneys will fight on your behalf to try and recover the unpaid wages you deserve. If you are ready to pursue a claim, fill out our free, no-risk case evaluation form today.